TOMA - stationery for home users and corporate customers. It offers office and classroom supplies and for industrial use. ARTLINE - products manufactured by the Japanese company Shachihata, specializing in manufacturing high quality special purpose markers for home and industrial use. 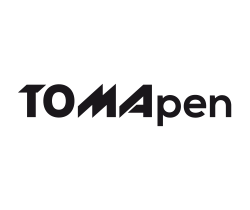 Our website tomapen.com presents TOMA brand products which are suitable for advertisement imprints. These writing instruments are characterized by the best quality and will be the most effective advertisement for the brand and company. We pay great attention to utility of our products. We believe that a good quality gadget may be the best review of the company which it represents.